Acudeen is a platform for sellers to upload their invoices to our marketplace and have funders — either financial institutions or individuals buy their receivables ahead of their maturity date, enabling liquidity for SMEs. We are aiming to use this model on a global scale while maintaining safety and integrity for both old and new users using blockchain technology and also allow for other movable assets such as trademarks, properties and warehouse receipts to cater to MSMEs which comprises of 80% of the market. Introducing AssetChain, a decentralized ecosystem for movable assets. AssetChain is a decentralized ecosystem which enables financial inclusion by allowing SMEs to liquidate movable assets on Acudeen’s global marketplace. 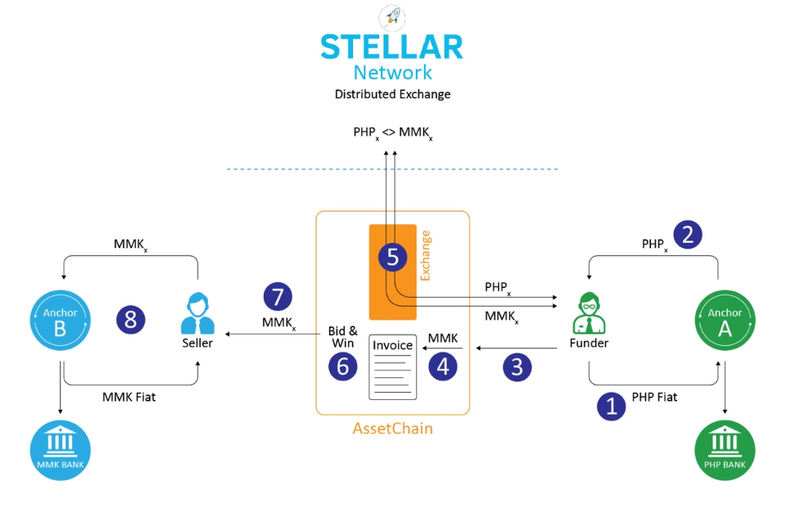 The new system is intended to improve existing services by ensuring user integrity and preventing fraud with its native utility token ACU, providing data security through a permissioned blockchain and allowing cross-border invoice purchases to occur at a fraction of the time and cost using Stellar. The ACU Tokens are used to avail of services within the platform, thereby incentivizing users to act with integrity as they serve as receipts of action logged on the blockchain. This helps prevent fraudulent invoices from being uploaded and it will be easier to prove ownership. In line with Acudeen’s plans for expansion in Asia, the AssetChain Platform is designed to empower more small and micro business owners with mobility and financial flexibility while creating a reliable, trustworthy environment for funders and investors. With over $3,000,000 worth of transactions facilitated, our company is ready for the next iteration of its product to further assist small business owners all over the world. For invoice purchasing, we use a stable token called CryptoFIAT. Because we want to enable cross-border purchases, cryptocurrencies are definitively a cheaper option than the standard remittance alternatives that we have. It’s understood that at this point in time, fiat money is still considered the standard and is widely used in business transactions. In order to lower transaction fees when going worldwide, cryptocurrencies are used to remove any intermediary parties. However, the value of these coins are extremely volatile and vary from day-to-day which makes them unfit for store-of-value. 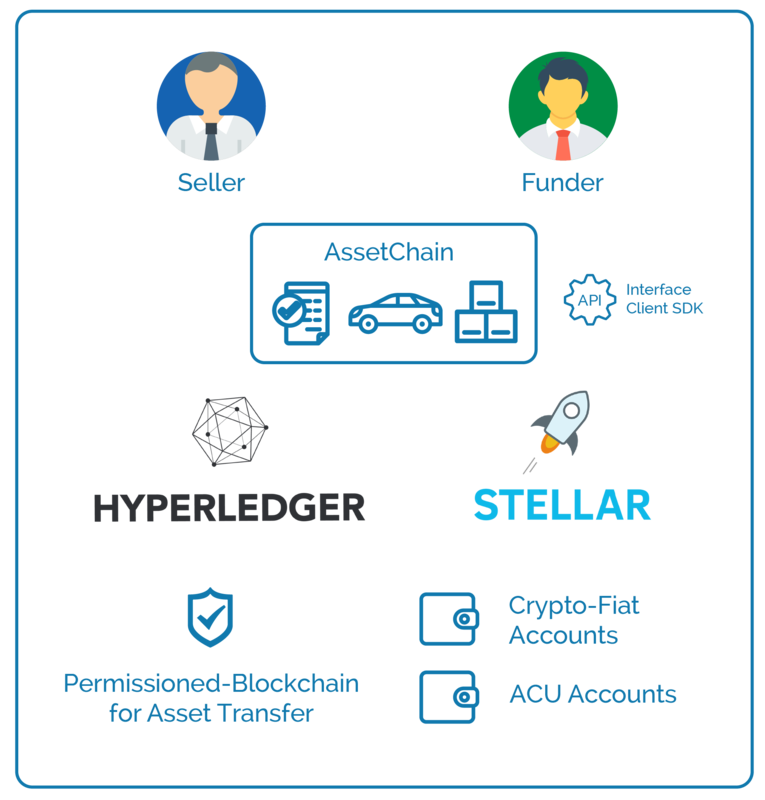 By leveraging the AssetChain, the CryptoFIAT effectively ties its value to the fiat currencies that Stellar anchors will be holding, allowing users to purchase invoices with crypto tied to real money value on the date of execution. The Private Sale is ongoing, while the Public Sale will commence on April 9, 2018 at 6:00 PM (UTC+8) Singapore time. The AssetChain is a decentralised inventory and marketplace for movable assets, such as invoices, warehouse receipts, or vehicles.